Through our DeWitt and East Lansing dental fillings, sealants, and other dental treatments, it’s our goal at Dr. Jacob Myers to help set children on the path to a lifetime of healthy smiles. Despite all our efficient and advanced dental treatments we offer, sometimes the most helpful treatment for a child’s teeth is something as simple as fluoride. As your DeWitt and East Lansing dentistry providers, we’d like to explain more about the helpfulness of fluoride. Fluoride is a mineral that’s naturally present in both fresh and saltwater sources. When applied to your teeth, it will incorporate into your tooth enamel, making them stronger and more resistant to decay. It even has the ability to reverse tiny cavities that have already started to form. By helping you resist tooth decay, it’ll give you a better chance of keeping your natural teeth for your entire lifetime. Fluoride is found in the majority of toothpaste that is sold today as fluoride is an effective and inexpensive way to prevent tooth decay and boost a person’s oral health. 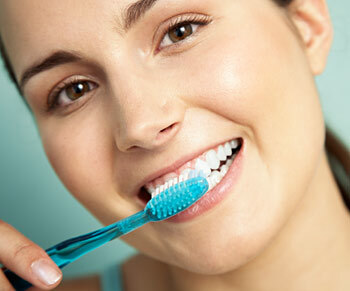 Along with toothpaste, fluoride is found in many types of mouthwash. Fluoride is often added to municipal water supplies as well because of its proven health benefits. Your East Lansing and DeWitt pediatric dentist can also apply fluoride to a patient’s teeth if he or she is lacking the proper amount. There’s really no definitive answer to this question; the amount of fluoride that each individual will need varies based on his or her own biochemistry, diet, oral hygiene routine, and regular exposure to fluoride. For example, if you brush and floss daily and eat healthy foods that aren’t too sugary or acidic, you likely won’t need as much fluoride. If you don’t regularly clean your teeth or if you consume acidic drinks or sugary foods, you may benefit from a fluoride mouth rinse or one of our fluoride treatments that we offer in our office. We need to mention that there’s such a thing as too much fluoride though – especially for children. If developing teeth absorb too much fluoride, they can become permanently stained or pitted, which is a condition that’s often referred to as enamel fluorosis. While it’s not dangerous, it can require cosmetic dental treatments to make the teeth look natural again. This isn’t just limited to children either; adults who take in too much fluoride throughout their lifetimes can become more prone to bone fractures or tenderness, which is commonly known as skeletal fluorosis. Because of this, it’s always best to consult with us about what fluoride products you and your child should be using. Contact Your East Lansing and DeWitt Pediatric Dentist Today! If you have any further questions, please feel free to contact us. If you’re in search of East Lansing and DeWitt kids dentistry, we encourage you to give us a call at (517) 337-0032. We’re looking forward to hearing from you!